There is a huge problem and you must deal with it. 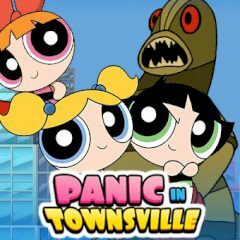 Help Powerpuff girls to stop meteors! Have you ever wanted to help Powerpuff girls during their missions? Just use powerful abilities to stop meteors and make sure you have enough time to prevent apocalypse! Play The Powerpuff Girls PowArt!